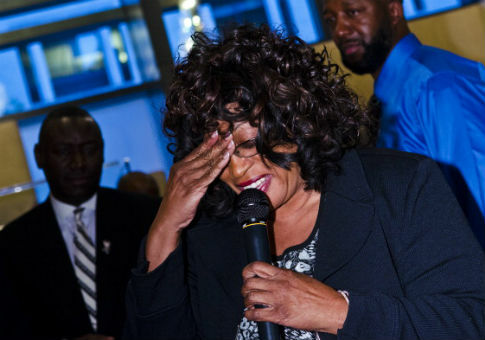 Former Democratic Rep. Corrine Brown (Fla.) was sentenced to five years in prison on Monday for her conviction in a federal fraud case involving a charity she used to enrich herself. The sentence matches the recommendation from prosecutor Tysen Duva, who asked the judge at Brown's sentencing hearing last month to not give her anything less than five years, according to Action News Jax. More than $800,000 was deposited into One Door for Education, the Virginia-based foundation. Only $1,200 of the foundation's money went to charity. Federal authorities discovered last year that Brown, Elias, and Carla Wiley, the foundation's president, spent $200,000 of the group's money on NFL tickets, luxury vacations, plane tickets, car repairs, and lavish events. An FBI agent testified during the trial that Brown had cash taken from the foundation and funneled into her bank account. Foundation president Carla Wiley was sentenced to 21 months in prison, with a three-year supervised release, for her role in the scheme, and Brown's former Chief of Staff Ronnie Simmons was sentenced to 48 months. #CorrineBrown's former Chief of Staff Ronnie Simmons sentenced to 48 months in jail for conspiracy to commit mail/wire fraud & theft of government funds. Will voluntarily surrender at a later date. This entry was posted in Politics and tagged Corrine Brown. Bookmark the permalink.